I had been painting the Super Dungeon Explore: Forgotten King boxset and had almost finished when I saw a box of Arcadia Quest in my local game store, Dark Sphere. It resembled Super Dungeon Explore so I had a look, but didn’t buy it outright because after all I had just gotten the Super Dungeon Explore game. 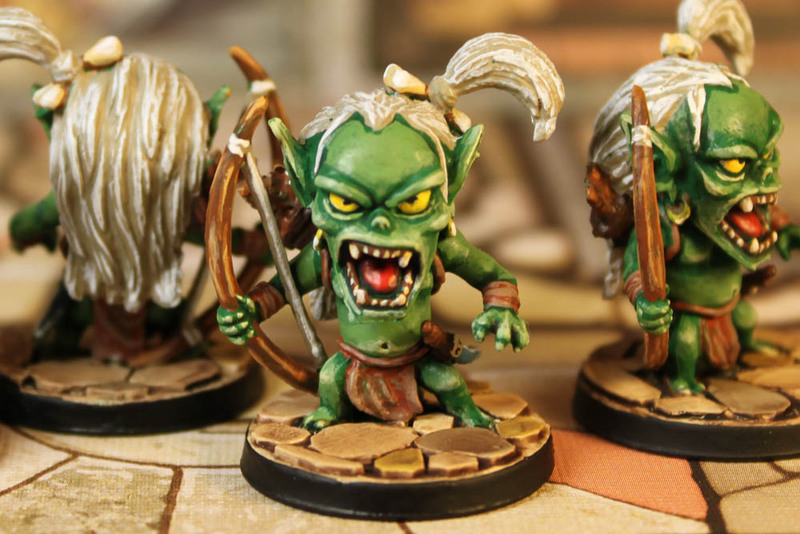 However, a quick surf on the interwebs I found that Arcadia Quest ranks 76 on BoardGameGeek.com with Super Dungeon Explore only ranking 1,352. And to make matters worse Tom Vessel, who’s reviews I really like, ranked Arcadia Quest in his Top 10 best games… had I bought the wrong Chibi game? To be fair, the reason why I got Super Dungeon Explore was the fact it has a coop mode, which Arcadia Quest does not have. 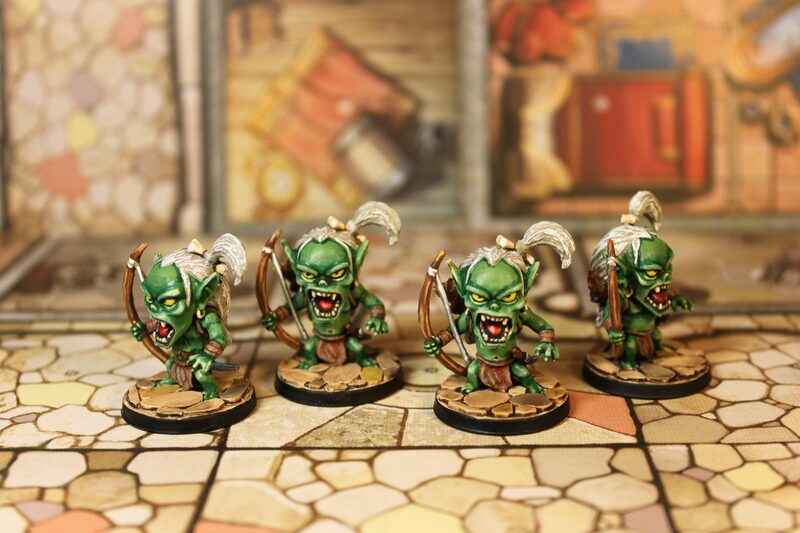 I will try and make a comparison of the two games once I’ve played them both, but for now here are my first ever Arcadia Quest minis: The Goblin Archers. 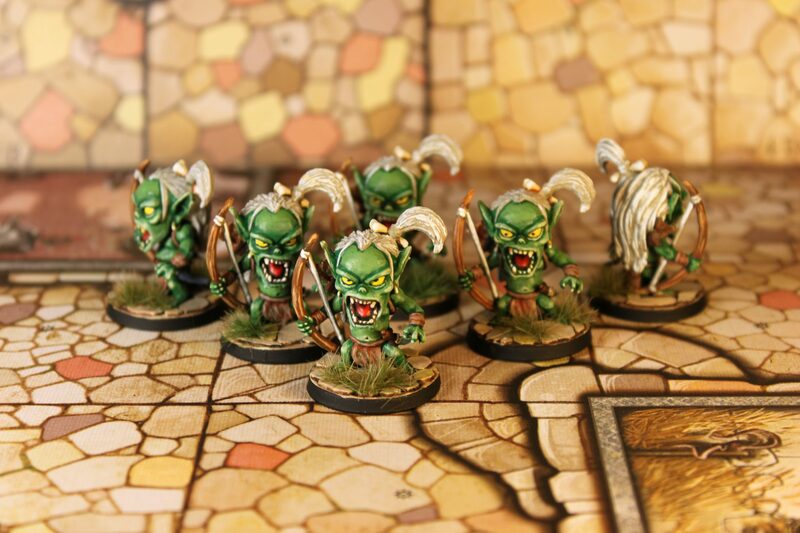 After posting this article, I realised there are 6 goblins, not 4. So here’s a few photos of all 6 together. 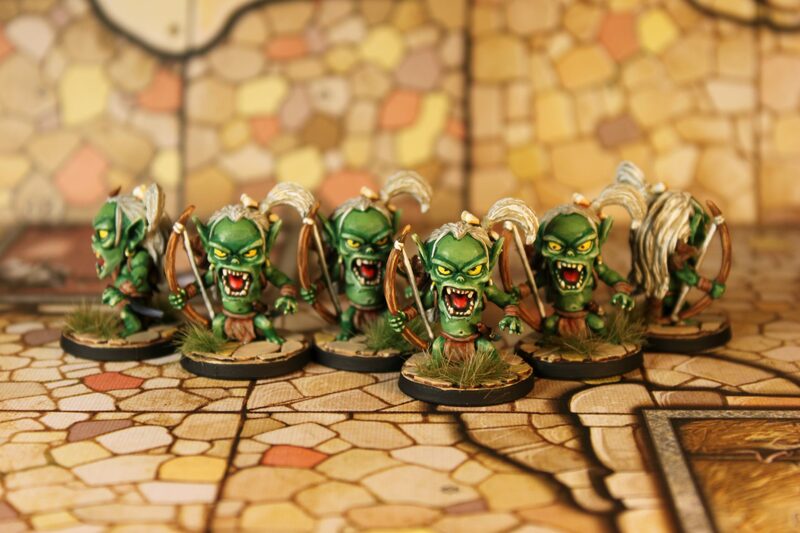 Note, I’ve also changed the bases slightly to make them lighter/ closer to the board colours and added grass tufts. 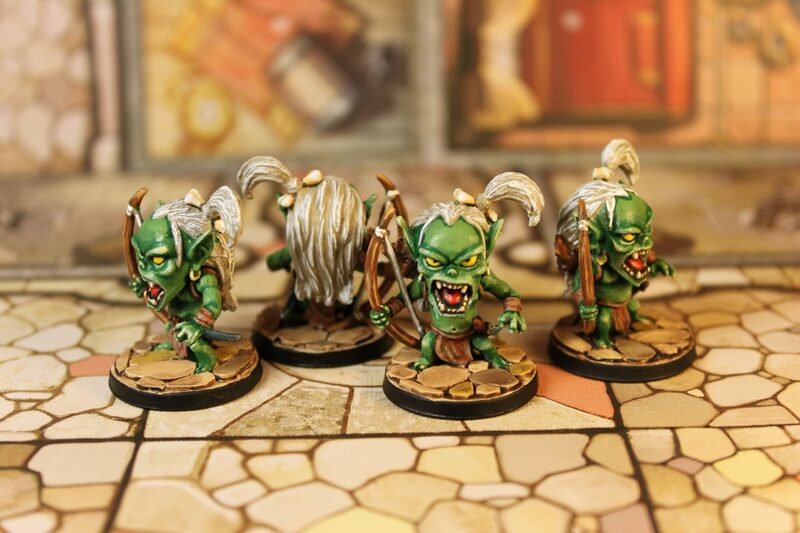 The bases of the Arcadia Quest miniatures do not come pre-sculpted. This posed a bigger mental challenge as expected as all my previous miniatures have been wargames related thus they would be outside thus dirt and grass worked for their bases. 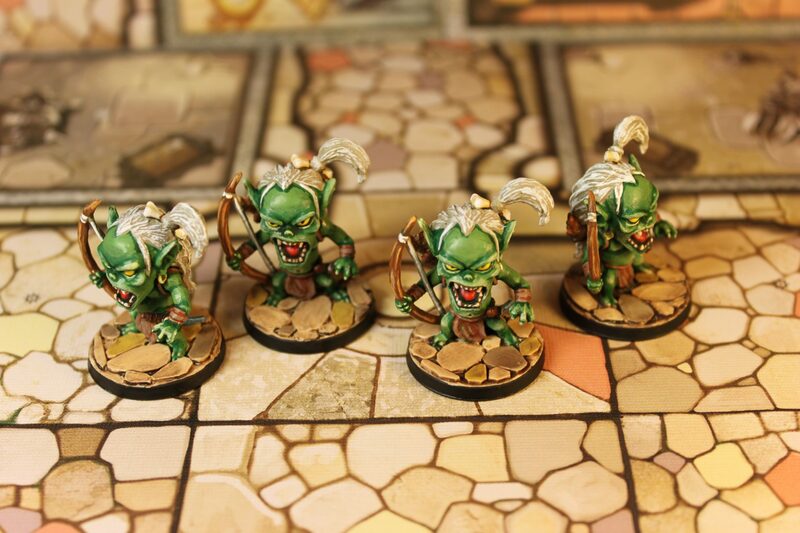 But Arcadia Quest minis are indoors. In the end I asked for help on the Chibi Gamers Facebook group. One person suggested making cardboard tiles and another suggested just painting tiles directly on the base using the game boards colours. in the end I opted for cardboard cutouts painted in colours roughly matching the game boards.